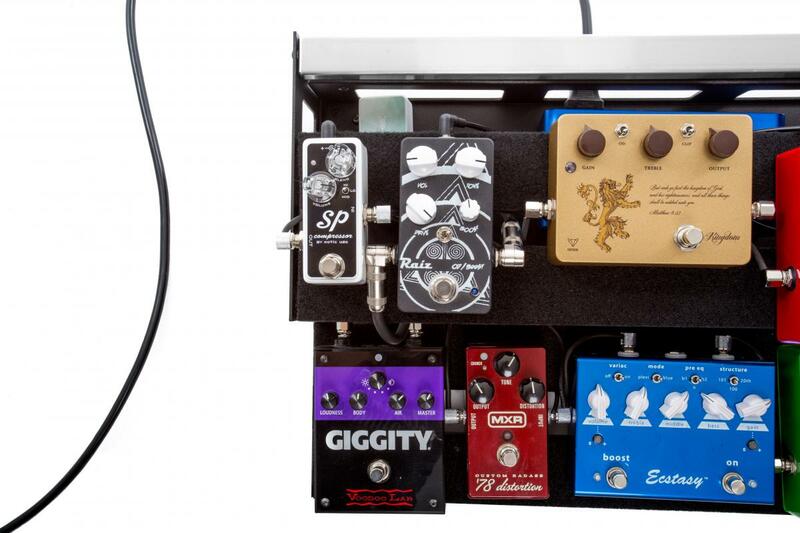 “When I saw all those beautiful pedals just thrown onto a 'plain frame', I decided to design my own board. I wanted something stylish and superbly designed that can keep all my cables tidy... and that's when Waggi was born. 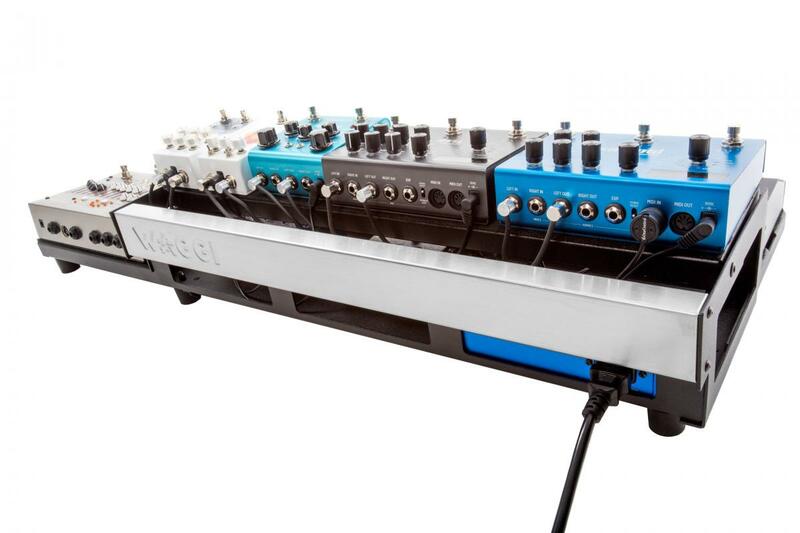 Fellow guitarists loved the concept, and the first units we made were in high demand. We were told that our creation was a great idea, and that’s how we came up with the name Waggi, which stands for "What A Great Guitar Idea". 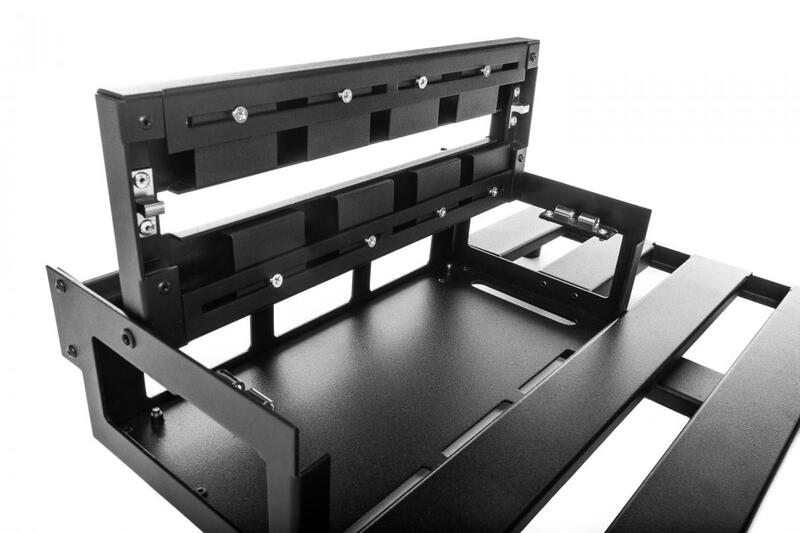 3 Areas: Each Waggi has an easily accessible front deck, a spacious side deck, and a hinged upper deck that opens to provide extra storage underneath for power supplies and patch boxes. 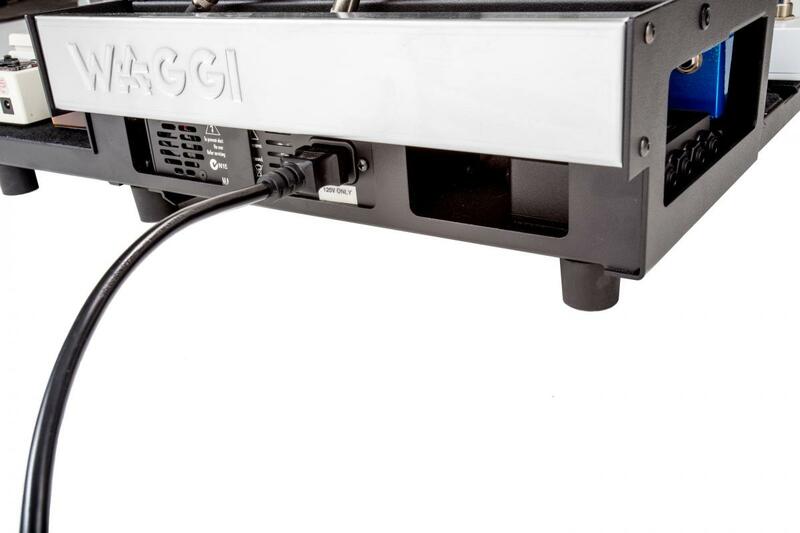 Tidy Cable System: Run audio and power cables in Waggi’s under-rail channels, then enclose them with the protective and freely configurable Raceways Sections included. Neat Connections: The Waggi is designed with plenty of side, rear and bottom cut-outs to allow various cable configurations to pass through. 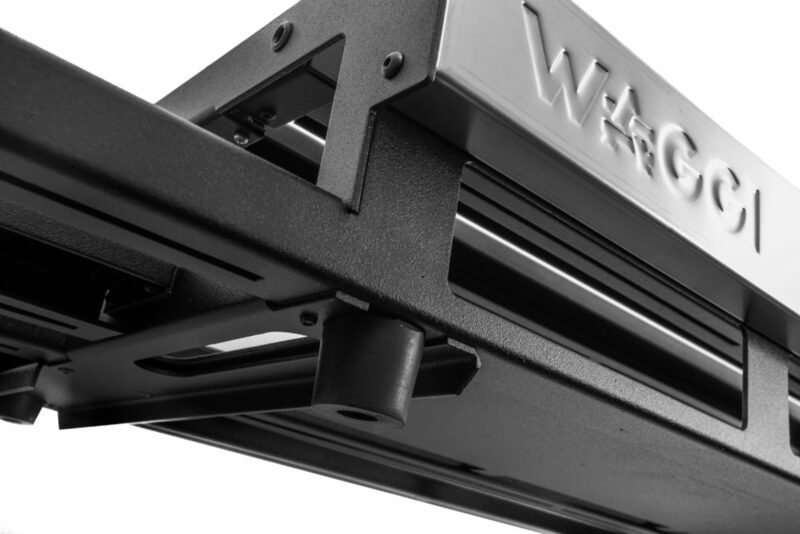 Tough and Lightweight: Each Waggi is constructed from durable 14 gauge aluminum with a stylish stainless steel back panel for an uncluttered audience view and includes a padded carrying case for safe and easy transport. At Waggi we believe in granting the creative spirit of musicians with extremely well-designed products, taking care in every detail while keeping it simple and easy to use. We work passionately to inspire creative new solutions and have a strong determination to be the first to bring these high-quality ideas to the music industry. 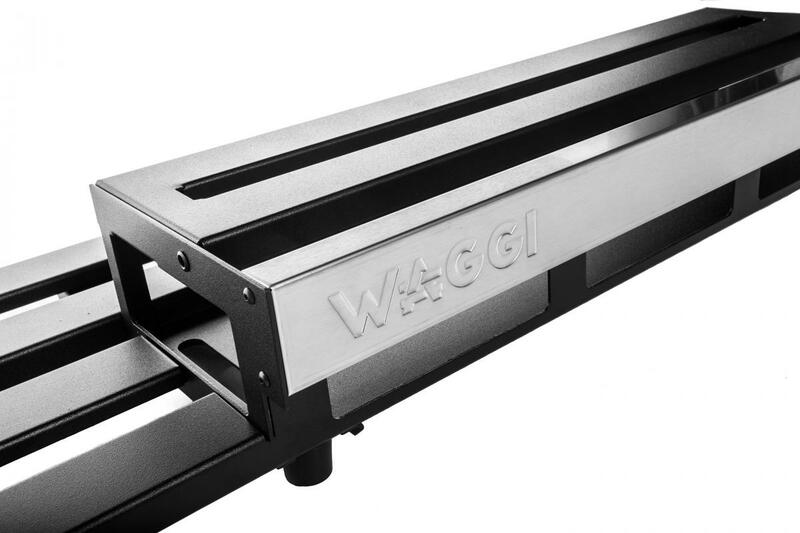 Each Waggi Pedalboard is crafted with the finest materials and assembled by hand in our facility in Bogota.